How can high blood pressure be lowered naturally? What is the medical treatment for high blood pressure? What about the patient's compliance with medication regimens? Is alternative medicine used to treat high blood pressure? What are the complications of high blood pressure? What's new in high blood pressure? 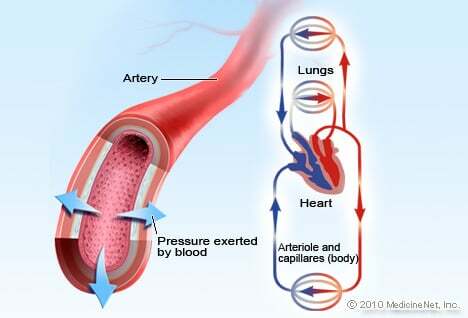 High blood pressure or hypertension, means high pressure (tension) in the arteries. Arteries are vessels that carry blood from the pumping heart to all the tissues and organs of the body. High blood pressure does not mean excessive emotional tension, although emotional tension and stress can temporarily increase blood pressure. Normal blood pressure is below 120/80 mm Hg. Blood pressure of 130/80 or above is considered high. Hypertension stage 1: 130-139 or 80-89 mm Hg. Hypertension stage 2: 140 or higher, or 90 mm Hg. or higher. The top number, which is the systolic blood pressure, corresponds to the pressure in the arteries as the heart contracts and pumps blood into the arteries. The bottom number, the diastolic pressure, represents the pressure in the arteries as the heart relaxes after the contraction. The diastolic pressure reflects the lowest pressure to which the arteries are exposed. An elevation of the systolic and/or diastolic blood pressure increases the risk of developing heart (cardiac) disease, kidney (renal) disease, hardening of the arteries (atherosclerosis or arteriosclerosis), eye damage, and stroke (brain damage). These complications of hypertension are often referred to as end-organ damage because damage to these organs is the end result of chronic (long duration) high blood pressure. For that reason, the diagnosis of high blood pressure is important so efforts can be made to normalize blood pressure and prevent complications. It was previously thought that rises in diastolic blood pressure were a more important risk factor than systolic elevations, but it is now known that in people 50 years of age and older systolic hypertension represents a greater risk. The American Heart Association estimates high blood pressure affects approximately one in three adults in the U.S. High blood pressure also is estimated to affect about two million U.S. teens and children, and the Journal of the American Medical Association reports that many are under-diagnosed. Hypertension is clearly a major public health problem. Picture of the systolic and diastolic pressure systems of blood pressure measurement. Picture of high blood pressure. The DASH diet was developed in the early 1990s. It's purpose? To study and identify a food-based strategy to lower blood pressure naturally. A DASH diet eating plan includes eating more beans, nuts, fruits, vegetables, and non or low-fat dairy. Lifestyle modifications refer to certain specific recommendations for changes in habits, diet and exercise. These modifications can lower the blood pressure as well as improve a patient's response to blood pressure medications. People who drink alcohol excessively (over two drinks per day*) have a one and a half to two times increase in the prevalence of hypertension. The association between alcohol and high blood pressure is particularly noticeable when alcohol intake exceeds five drinks per day. The connection is a dose-related phenomenon. In other words, the more alcohol consumed, the stronger is the link with hypertension. *The National Institute on Alcohol Abuse and Alcoholism considers a standard drink to be 12 ounces of beer, 5 ounces of wine, or 1.5 ounces of 80-proof distilled spirits. Each contains roughly the same amount of absolute alcohol -- approximately one-half ounce or 12 grams. Although smoking increases the risk of vascular complications (for example, heart disease and stroke) in people who already have hypertension, it is not associated with an increase in the development of hypertension. But cigarette smoking can repeatedly produce an immediate, temporary rise in the blood pressure of 5 to10 mm Hg. Steady smokers however, may have a lower blood pressure than nonsmokers. The reason for this is that nicotine in cigarettes causes a decrease in appetite, which leads to weight loss. This, in turn, lowers blood pressure. In one study, the caffeine consumed in 5 cups of coffee daily caused a mild increase in blood pressure in elderly people who already had hypertension, but not in those who had normal blood pressures. The combination of smoking and drinking coffee in persons with high blood pressure may increase the blood pressure more than coffee alone. Limiting caffeine intake and cigarette smoking in hypertensive individuals may be of some benefit in controlling high blood pressure. The American Heart Association states that there is no consistent evidence that daily consumption of 1 to 2 cups of coffee (or its equivalent) increases blood pressure to any significant degree in people who do not already have high blood pressure. However, a study reported in the Journal of the American Medical Association in 2005 found that while coffee consumption was not associated with an increased risk of hypertension, consumption of sugared or diet cola did cause modest increases in blood pressure, though no recommendations on cola consumption were made. Energy drinks often contain high levels of caffeine. The American Heart Association points to research which suggests people with high blood pressure or heart disease should avoid energy drinks because they could affect their blood pressure. The American Heart Association recommends that consumption of dietary salt be less than 6 grams of salt per day in the general population and less than 4 grams for people with hypertension. To achieve a diet containing less than 4 grams of salt, salt is not added to food or when cooking. The amount of natural salt in the diet can be reasonably estimated from the labeling information provided with most purchased foods. Note: Some salt substitutes contain sodium, the substance in salt that increases blood pressure! Along with lowering salt in the diet, a balanced eating plan that also reduces cholesterol intake and fatty foods is recommended. The TLC Diet (Therapeutic Lifestyle Changes) often is recommended to lower blood cholesterol. Some supplements, such as garlic and flaxseed have been shown in studies to lower blood pressure. Some small-scale studies have shown Coenzyme Q10 (CoQ10) may lower blood pressure, but further studies are needed. Garlic may react with some prescription medications such as blood thinners, so consult a physician before taking any supplements. Other home remedies, such as calcium, magnesium, and fish oil have been shown in studies to lower blood pressure, but patients should consult with their physician before taking any supplements. Being overweight can increase the risk for high blood pressure. Obesity is common among hypertensive patients, and its prevalence, especially in aging patients, can contribute to hypertension in several ways. In obese people the heart has to pump more blood to supply the excess tissue. The increased cardiac output can then raise the blood pressure. In addition, obese hypertensive individuals have a greater stiffness (resistance) in their peripheral arteries throughout the body. Insulin resistance and the metabolic syndrome, which are associated with hypertension, also occur more frequently in the obese. Finally, obesity may be associated with a tendency for the kidneys to retain salt. Weight loss may help reverse obesity-related problems and may lower blood pressure. Losing as little as 10 to 20 pounds can help lower blood pressure and the risk of heart disease. The American Journal of Clinical Nutrition reported in 2005 that waist size, a measure of central body obesity, was a better predictor of a person's blood pressure than body mass index (BMI), a measure of overall obesity. Men should strive for a waist size of 35 inches or under and women 33 inches or under. Some very obese people have a syndrome called sleep apnea, which is characterized by periodic interruption of normal breathing during sleep. Sleep apnea may contribute to the development of hypertension in this subgroup of obese individuals. Repeated episodes of apnea cause a lack of oxygen (hypoxia), causing the adrenal gland to release adrenaline and related substances which cause a rise in the blood pressure. A regular exercise program may help lower blood pressure over the long term. Activities such as jogging, bicycle riding, power walking, or swimming for 30 to 45 minutes daily may lower blood pressure by as much as 5 to15 mm Hg. There also appears to be a relationship between the amount of exercise and the degree to which the blood pressure is lowered. So the more one exercises (up to a point), the more they lower their blood pressure. This beneficial response occurs only with aerobic (vigorous and sustained) exercise programs. Any exercise program should be recommended or approved by a physician. Stress reduction can also help lower blood pressure. Stress can be limited by determining priorities, using time management skills, saying "no," living by values, setting realistic goals, and improving self-esteem. Relaxation methods to reduce stress include deep breathing, progressive muscle relaxation, mental imagery relaxation, relaxing to music, yoga, meditation, and biofeedback. It is important for patients to keep logs of their blood pressure through the day. Physicians may have patients chart their blood pressure in a daily log to see if stressful factors during the day cause blood pressure to go up. Patients should be sure to get adequate sleep in order to relax their minds and bodies. Naps may be necessary. High blood pressure usually is present for years before its complications develop. Ideally, hypertension is treated early before it damages critical organs in the body. Increased public awareness and screening programs to detect early, uncomplicated hypertension are keys to successful treatment. Successful early treatment of high blood pressure can significantly decrease the risk of stroke, heart attack, and kidney failure. The goal for patients with combined systolic and diastolic hypertension is to attain a blood pressure of 134/80 mm Hg. Although lifestyle changes in prehypertensive patients are appropriate, it is not well established that treatment with medication of patients with prehypertension is beneficial. Blood pressure persistently higher than 134/80 mm Hg usually is treated with lifestyle modifications and medication. These circumstances include borderline diastolic pressures in association with end-organ damage, systolic hypertension, or factors that increase the risk of cardiovascular disease, such as age over 65 years, African American descent, smoking, hyperlipemia (elevated blood fats), or diabetes. In some situations, certain classes of antihypertensive drugs are preferable to others as the first-line (preferred first-choice) drugs. Angiotensin converting enzyme (ACE) inhibitors or angiotensin receptor blocking (ARB) drugs are the drugs of choice in patients with heart failure, chronic kidney failure (in diabetics or nondiabetics), or heart attack (myocardial infarction) that weakens the heart muscle (systolic dysfunction). Also, beta blockers are sometimes the preferred treatment in hypertensive patients with a resting tachycardia (racing heart beat when resting) or an acute (rapid onset) heart attack. Patients with hypertension may sometimes have a co-existing second medical condition. In such cases, a particular class of antihypertensive medication or combination of drugs may be chosen as the first-line approach. The idea in these cases is to control the hypertension while also benefiting the second condition. For example, beta blockers may treat chronic anxiety or migraine headache as well as hypertension. Also, the combination of an ACE inhibitor and an ARB drug can be used to treat certain diseases of the heart muscle (cardiomyopathies) and certain kidney diseases where reduction in protein in the urine would be beneficial. In other situations, certain classes of antihypertensive medications should not be used. Dihydropyridine calcium channel blockers used alone may cause problems for patients with chronic renal disease by increasing proteinuria. However, an ACE inhibitor will blunt this effect. The non-dihydropyridine type of calcium channel blockers should not be used in patients with heart failure. However, these drugs may be beneficial in treating certain arrhythmias. Some drugs, such as minoxidil, may be relegated to second- or third-line choices for treatment. Clonidine is an excellent drug but has side effects such as fatigue, sleepiness, and dry mouth making it a second- or third-line choice. See the section below on pregnancy for the antihypertensive drugs that are used in pregnant women. The use of combination drug therapy for hypertension is common. At times, using smaller amounts of one or more drugs in combination can minimize side effects while maximizing the anti-hypertensive effect. For example, diuretics, which also can be used alone, are more often used in a low dose in combination with another class of antihypertensive medications. This way, the diuretic has fewer side effects while improving the blood pressure-lowering effect of the other drug. Diuretics also are added to other antihypertensive medications when a patient with hypertension has fluid retention and swelling (edema). A useful combination is that of a beta blocker with an alpha blocker in patients with high blood pressure and enlargement of the prostate gland in order to treat both conditions simultaneously. Caution is necessary when combining two drugs that both lower the heart rate. For example, patients receiving a combination of a beta blocker to a non-dihydropyridine calcium channel blocker (for example, diltiazem [Cardizem, Dilacor, Tiazac] or verapamil [Calan, Verelan, Isoptin, Covera-HS]) need to be monitored carefully to avoid an excessively slow heart rate (bradycardia). Combining alpha and beta blockers such as carvedilol (Coreg) and labetalol (Normodyne, Trandate) is useful for cardiomyopathies and for hypertension patients. In a hospital setting, injectable drugs may be used for emergency treatment of hypertension. The most commonly used are sodium nitroprusside (Nipride), labetalol (Normodyne), and nicardipine (Cardene). Emergency medical therapy is needed for patients with severe (malignant) hypertension and in patients with short duration (acute) congestive heart failure, dissecting aneurysm (dilation or widening) of the aorta, stroke, and toxemia of pregnancy (see below). Pregnant women may develop hypertension or may have it before conception. These patients have an increased risk of developing preeclampsia or eclampsia (toxemia of pregnancy). These conditions usually develop during the last 3 months (third trimester) of pregnancy. In preeclampsia, which can occur with or without pre-existing hypertension, affected women have hypertension, protein loss in the urine (proteinuria), and swelling (edema). In eclampsia, seizures also occur and the hypertension requires emergency treatment. The baby must be delivered quickly as part of the treatment of the mother. The main goal of treating the high blood pressure in toxemia is to keep the diastolic pressure below 105 mm Hg in order to prevent a brain hemorrhage or seizures in the mother. Hypertension that develops before the 20th week of pregnancy almost always is due to pre-existing hypertension and not toxemia. High blood pressure that occurs only during pregnancy, called gestational hypertension, may start late in the pregnancy. Women with gestational hypertension do not have proteinuria, edema, or convulsions, and there appears to be no ill effects on the mother or fetus. This form of hypertension resolves shortly after delivery, although it may recur with subsequent pregnancies. The use of medications for hypertension during pregnancy is controversial. The risk of untreated mild to moderate hypertension to the fetus or mother during pregnancy probably is not very great. Lowering the blood pressure too much can interfere with the flow of blood to the placenta and impair fetal growth. Not all mild or moderate hypertension during pregnancy needs to be treated with medication. If it is treated, the blood pressure should be reduced slowly and not to very low levels. Antihypertensive agents used during pregnancy need to be safe for normal fetal development. Beta blockers, hydralazine (a vasodilator), labetalol (Normodyne, Trandate), alpha-methyldopa (Aldomet), and more recently, calcium channel blockers have been approved as suitable medications for hypertension during pregnancy. Some antihypertensive medications are not recommended (contraindicated) during pregnancy. These include ACE inhibitors, ARB drugs, and diuretics. ACE inhibitors may aggravate a diminished blood supply to the uterus (uterine ischemia) and cause kidney dysfunction in the fetus. ARB drugs may lead to death of the fetus. Diuretics can cause depletion of blood volume and impair placental blood flow and fetal growth. As an added benefit, ACE inhibitors may reduce an enlarged heart (left ventricular hypertrophy) in patients with hypertension. These drugs also appear to slow the deterioration of kidney function in patients with hypertension and protein in the urine (proteinuria). They have been particularly useful in slowing the progression of kidney dysfunction in hypertensive patients with kidney disease resulting from type 1 diabetes (insulin-dependent). ACE inhibitors usually are the first-line drugs to treat high blood pressure in patients who also have congestive heart failure, chronic kidney failure, and heart attack (myocardial infarction) that weakens the heart muscle (systolic dysfunction). ARB drugs currently are recommended for first-line kidney protection in diabetic nephropathy (kidney disease). For patients who develop a chronic cough on an ACE inhibitor, an ARB drug is a good substitute. ARB drugs work by blocking the angiotensin receptor (binder) on the arteries to which activated angiotensin must bind to have its effects. As a result, the angiotensin is not able to work on the artery. (Angiotensin is a hormone that constricts the arteries.) ARB drugs appear to have many of the same advantages as the ACE inhibitors but without the associated cough; however, edema still may occur. They are also suitable as first-line agents to treat hypertension. The sympathetic nervous system is a part of the nervous system that helps to regulate certain involuntary (autonomic) functions in the body such as the function of the heart and blood vessels. The nerves of the sympathetic nervous system extend throughout the body and exert their effects by releasing chemicals that travel to nearby cells in the body. The released chemicals bind to receptors (molecules) on the surface of the nearby cells and stimulate or inhibit the function of the cells. In the heart and blood vessels, the receptors for the sympathetic nervous system that are most important are the beta receptors. When stimulated, beta-receptors in the heart increase the heart rate and the strength of heart contractions (pumping action). Beta-blocking drugs acting on the heart slow the heart rate and reduce the force of the heart's contraction. Stimulation of beta-receptors in the smooth muscle of the peripheral arteries and in the airways of the lung causes these muscles to relax. Beta blockers cause contraction of the smooth muscle of the peripheral arteries and thereby decrease blood flow to body tissues. As a result, the patient may experience coolness in the hands and feet. In response to the beta blockers, the airways are squeezed (constricted) by the contracting smooth muscle; this squeezing (impingement) on the airway causes wheezing, especially in individuals with a tendency for asthma. Beta blockers remain useful medications in treating hypertension, especially in patients with a fast heartbeat while resting (tachycardia), cardiac chest pain (angina), or a recent heart attack (myocardial infarction). Beta blockers appear to improve long-term survival when given to patients who have had a heart attack. Whether beta blockers can prevent heart problems (are cardioprotective) in patients with hypertension any more than other antihypertensive medications is uncertain. Beta blockers may be considered for treatment of hypertension because they also may treat co-existing medical problems, such as chronic anxiety or migraine headaches. Common side effects of these drugs include depression, fatigue, nightmares, sexual impotence in males, and increased wheezing in people with asthma. Diuretics are among the oldest known medications for treating hypertension. They work in the tiny tubes (tubules) of the kidneys to promote the removal of salt from the body. Water also may be removed along with the salt. Diuretics may be used as single drug treatment (monotherapy) for hypertension. More frequently low doses of diuretics are used in combination with other antihypertensive medications to enhance the effect of the other medications. The diuretic hydrochlorothiazide (HydroDIURIL) works in the far end (distal) part of the kidney tubules to increase the amount of salt that is removed from the body in the urine. In a low dose of 12.5 to 25 mg per day, this diuretic may improve the blood pressure-lowering effects of other antihypertensive drugs, and the low doses also can prevent the fluid retention (edema) associated with ACE and ARB drugs. The idea is to treat the hypertension without causing adverse effects sometimes seen with higher doses of hydrochlorothiazide. These side effects include potassium depletion and elevated levels of triglyceride (fat), uric acid, and glucose (sugar) in the blood. Occasionally, when salt retention causing accumulation of water and swelling (edema) is a major problem, the more potent 'loop' diuretics may be used in combination with other antihypertensive medications. The loop diuretics are so called because they work in the loop segment of the kidney tubules to eliminate salt. Calcium channel blockers inhibit the movement of calcium into the muscle cells of the heart and arteries. Calcium is needed for these muscles to contract. Calcium channel blockers lower blood pressure by decreasing the force of the heart's pumping action and relaxing the muscle cells in the walls of the arteries. Three major types of calcium channel blockers are used. One type is the dihydropyridines, which do not slow the heart rate or cause other abnormal heart rates or rhythms (cardiac arrhythmias). These drugs include amlodipine (Norvasc), sustained release nifedipine (Procardia XL, Adalat CC), felodipine (Plendil), and nisoldipine (Sular). The other two types of calcium channel blockers are referred to as the non-dihydropyridine agents. One type is verapamil (Calan, Covera, Isoptin, and Verelan) and the other is diltiazem (Cardizem, Tiazac, Dilacor, and Diltia). The non-dihydropyridines can cause slowing of the heart rate (bradycardia). The non-dihydropyridines are not recommended in congestive heart failure. Both the dihydropyridines and the non-dihydropyridines are very useful when used alone or in combination with other antihypertensive agents. Many of the calcium channel blockers come in a short-acting form and a long-acting (sustained release) form. The short-acting forms of the calcium channel blockers may have adverse long-term consequences, such as strokes or heart attacks. These effects are due to the wide fluctuations in the blood pressure and heart rate that occur during treatment resulting from the rapid onset and short duration of the short-acting compounds. When the calcium channel blockers are used in sustained release preparations less fluctuation occurs. The sustained release forms of calcium channel blockers are probably safer for long-term use. The main side effects of these drugs include constipation, swelling (edema), and a slow heart rate (only with the non-dihydropyridine types). 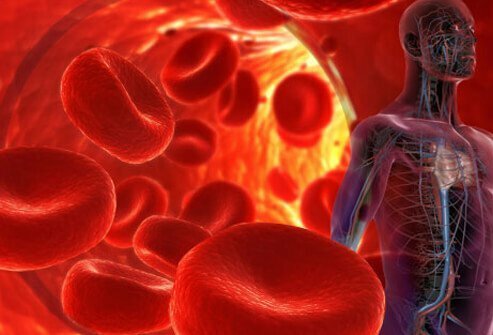 Alpha blockers lower blood pressure by blocking alpha-receptors in the smooth muscle of peripheral arteries throughout the tissues of the body. The alpha-receptors are part of the sympathetic nervous system, as are the beta-receptors. The alpha-receptors, however, serve to constrict the peripheral arteries and the alpha-blockers cause the peripheral arteries to widen (dilate) and lower the blood pressure. Evidence suggests using alpha blockers alone as a first-line drug choice for hypertension may actually increase the risk of heart-related problems, such as heart attacks or strokes. Alpha blockers should not be used as the initial drug for the treatment of high blood pressure. Examples of alpha blockers include terazosin (Hytrin), prazosin (Minipress), and doxazosin (Cardura). Alpha blockers are particularly useful in patients with enlargement of the prostate gland because these drugs reduce the problems associated with urinating. The alpha-receptors, however, serve to constrict the peripheral arteries and the alpha blockers cause the peripheral arteries to widen (dilate) and lower the blood pressure. Tamsulosin (Flomax) or alfuzosin (Uroxatral) are alpha blockers that work well in combination with other antihypertensive medications. Clonidine (Catapres) is an antihypertensive drug that works centrally. That is, it works in a control center for the sympathetic nervous system in the brain. The drug is referred to as a central alpha agonist because it stimulates alpha-receptors in the brain. 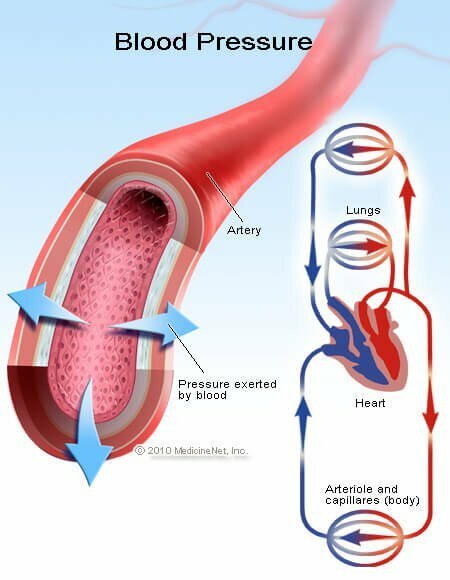 The result of this central stimulation is to decrease the sympathetic nervous system outflow and to decrease the stiffness (resistance) of the peripheral arteries. Clonidine lowers the blood pressure by relaxing (dilating or widening) the peripheral arteries throughout the body. This drug is useful as a second- or third-tier choice for lowering blood pressure when other antihypertensive medications have failed. It also may be useful on an as-needed basis to control or smooth out fluctuations in the blood pressure. This drug tends to cause dryness of the mouth and fatigue so some patients do not tolerate it. Clonidine comes in an oral form or as a sustained release skin patch. Minoxidil is the most potent of the drugs that lower blood pressure by dilating the peripheral arteries. This drug does not work through the peripheral sympathetic nervous system as do the alpha and beta blocker drugs, or through the control center in the brain, as does clonidine. Rather, it is a muscle relaxant that works directly on the smooth muscle of the peripheral arteries throughout the body. Minoxidil is used for patients who have not responded to other medications. It must be combined with a beta blocker or clonidine to prevent an increase in the heart rate and with a diuretic to prevent retention of fluid (swelling). Minoxidil may also increase hair growth. Aliskiren (Tekturna) is in a class of antihypertensive drugs called renin inhibitors. Renin is an enzyme in the chain of blood pressure regulating hormones referred to as the renin-angiotensin-aldosterone (RAA) hormonal system. The first step in the chain is the production of renin in the kidneys when the kidneys detect lower blood pressure. The renin stimulates the formation of a protein called angiotensin I, which is then converted to angiotensin II by angiotensin-converting enzyme (ACE) in the lungs, the same ACE targeted by ACE inhibitors. Angiotensin II is the most powerful constrictor of blood vessels known. This effect of constricting blood vessels tends to elevate the blood pressure. Angiotensin II also causes the secretion of an additional blood pressure elevating hormone in the adrenal glands called aldosterone, which helps the body retain sodium. Aliskiren inhibits the effects of renin and angiotensin so that blood pressure does not go up. Aliskiren should not be combined with ARB or ACE drugs in patients with diabetes because of the risk of renal impairment, hypotension, and hyperkalemia. Eplerenone (Inspra) is an aldosterone receptor blocker. It is used to treat congestive heart failure after a heart attack and also is used to treat high blood pressure (hypertension). Aldosterone blockers promote lower blood pressure by increasing the elimination of salt from the body. Common side effects include headache, dizziness, diarrhea, stomach pain, nausea, and cough or flu-like symptoms (such as fever, chills, and unusual tiredness). Combining medications in lower doses often can reduce blood pressure more effectively with fewer side effects. Exforge is a combination of amlodipine, a calcium channel blocker and valsartan, an ARB. According to the manufacturer, by using these two drugs in combination, Exforge works to block substances in the body that can cause blood vessels to narrow and can help blood vessels relax so that blood pressure is lower. Studies have shown that taking Exforge increases the likelihood of reducing blood pressure more than either drug taken individually. When uncomplicated hypertension has not caused symptoms, as often happens, some patients tend to forget about their medications. Patients also tend to fail to take their medications as prescribed (noncompliance or nonadherence) if they cause side effects. These quality of life issues are very important, especially with regard to compliance with prescribed blood pressure medications. Certain antihypertensive medications may cause such side effects as fatigue and sexual impotence which can have profound effects on a patient's quality of life and compliance with treatment. More resistant cases of hypertension that require higher doses of medication may cause more adverse effects, and therefore, less compliance. In dosing schedules that require taking medication two to four times a day (split dose), some patients will remember to take their medicine only some of the time. In contrast, medications that can be given once daily tend to be remembered more regularly. Expensive blood pressure medications, especially if insurance does not cover the costs, may also reduce compliance. People attempt to save money by skipping doses of the prescribed medication. The least expensive medication regimes use generic drugs, which are readily available for some of the diuretics and beta blockers. Lifestyle changes such as losing weight, reducing dietary sodium, decreasing consumption of alcohol, and exercising regularly, reduce the need for some medications. Alternative medicine, also called integrative or complementary medicine, features the use of nontraditional (at least in the Western world) techniques for treatment. For example, self-relaxation approaches to the therapy of hypertension include yoga, biofeedback, and meditation. These techniques can be effective in lowering blood pressure, at least temporarily. In order to produce sustained reductions in the blood pressure these techniques may require hours of diligent adherence daily. They are generally practical only for a few highly motivated individuals with hypertension. Acupuncture has not yet been established as a standard or proven therapy for hypertension in the Western world. Certain herbal remedies have blood pressure-lowering components that may well be effective in treating hypertension. Most herbal remedies are available as food supplements and the Food and Drug Administration (FDA) does not approve them as drugs. Therefore, herbal treatments for hypertension have not yet been adequately evaluated in scientifically controlled clinical trials for effectiveness and safety. In particular, their long-term side effects are unknown. A major problem with most herbal treatments is that their contents are not standardized. The ways in which herbal treatments work to lower blood pressure are not known. For all of these reasons, herbal remedies usually are not recommended for the treatment of hypertension. As mentioned previously, some supplements, such as garlic and flaxseed have been shown in studies to lower blood pressure. Some small-scale studies have shown that coenzyme Q10 (CoQ10) may lower blood pressure, but further studies are needed. Other home remedies, such as calcium, magnesium, and fish oil have been shown in studies to lower blood pressure. Patients should consult their physicians before taking any supplement or home remedy. High blood pressure (hypertension) increases the risk of developing heart (cardiac) disease, kidney (renal) disease, hardening of the arteries (atherosclerosis or arteriosclerosis), aneurysms, eye damage, and stroke (brain damage). These complications of hypertension often are referred to as end-organ damage. Because of this damage, the diagnosis of high blood pressure is important so efforts can be made to normalize blood pressure and prevent complications. People with high blood pressure have an increased stiffness, or resistance, in the arteries throughout the tissues of the body. This increased resistance causes the heart muscle to work harder to pump the blood through the arteries. The increased workload can put a strain on the heart, which can lead to heart abnormalities that are usually first seen as an enlarged heart muscle. Heart enlargement may be a forerunner of heart failure, coronary (heart) artery disease, and abnormal heart rate or rhythms (cardiac arrhythmias). Proper treatment of the high blood pressure and its complications can reverse some of these heart abnormalities. Blood and urine tests may be helpful in detecting kidney abnormalities in people with high blood pressure. (Kidney damage can be either the cause or the result of hypertension.) Measuring the serum creatinine in the blood can assess how well the kidneys are functioning. An elevated level of serum creatinine indicates damage to the kidneys. In addition, the presence of protein in the urine (proteinuria) may reflect chronic kidney damage from hypertension, even if kidney function (as represented by the blood creatinine level) is normal. African American patients with poorly controlled hypertension are at a higher risk than Caucasians for most end-organ damage and, particularly, kidney damage. Uncontrolled high blood pressure (hypertension) can cause strokes, which can lead to brain or neurological damage. The strokes are usually due to a hemorrhage (leaking blood) or a blood clot (thrombosis) of the blood vessels that supply blood to the brain. The patient's symptoms and signs (findings on physical examination) are evaluated to assess the neurological damage. A stroke can cause weakness, tingling, or paralysis of the arms or legs and difficulties with speech or vision. Multiple small strokes can lead to dementia (impaired intellectual capacity). The best prevention for this complication of hypertension or, for that matter, for any of the complications, is control of the blood pressure. Recent studies have also suggested the ARBs may offer an additional protective effect against strokes above and beyond control of blood pressure. Maintain a healthy weight. Being overweight can make a person two to six times more likely to develop high blood pressure. Get regular exercise. Physically active people have up to a 50% lower risk of getting high blood pressure than people who are not active. Reduce salt intake. Less than 4 grams per day is the goal. Drink alcohol in moderation, or not at all. Drinking too much alcohol can raise blood pressure. If a person drinks alcohol, they should limit it to no more than two drinks a day. Reduce stress. Stress can raise blood pressure. A novel approach to hypertension treatment has been found by studying a hormone that controls insect growth. Butterfly researchers identified and characterized epoxide hydrolase, an enzyme involved in a critical pathway in the breakdown of anti-inflammatory arachidonate metabolites called EETs, or epoxyeicosatrienoic acids. Other researchers found that inhibiting the breakdown of EETs reduced blood pressure in rodents. This newly discovered enzyme also reduced vascular inflammation and end-organ damage, the long-term effects of high blood pressure. The oral form of the enzyme developed in this study, currently in clinical trials, reduced the most common type of high blood pressure in middle-aged individuals. Pharmaceutical companies in several countries have initiated programs using this enzyme to treat high blood pressure, inflammation, diabetes, pain, and other disorders. A surgical procedure also is being tested in other countries to lower high blood pressure. The procedure involves disrupting the nerves to the kidney. A large trial of this did not demonstrate benefit in lowering blood pressure. American College of Cardiology. 2017 Guideline for High Blood Pressure in Adults. Updated: Nov 13, 2017. American Heart Association. "Know Your Risk Factors for High Blood Pressure." Updated: Nov 16, 2017..
"FDA Drug Safety Communication: New Warning and Contraindication for blood pressure medicines containing aliskiren (Tekturna)." U.S. Food and Drug Administration. 20 Apr. 2012. NIH. "Classification of Overweight and Obesity by BMI, Waist Circumference, and Associated Disease Risks." 11 Oct. 2012. NIH. "Your Guide to Lowering Cholesterol with Therapeutic Lifestyle Changes (TLC)." NIH. Updated: 2006. NIH. "Your Guide to Lowering Your Blood Pressure With DASH." April 2006. Imig, J. D., et al. "An orally active epoxide hydrolase inhibitor lowers blood pressure and provides renal protection in salt-sensitive hypertension." Hypertension46.4 (2005): 975-981. Krum, H., et al. "Catheter-ased renal sympathetic denervation for resistant hypertension: a multicentre safety and proof-of-principle cohort study." Lancet 373.9671 (2009): 1275-1281. Materson, B. J. and R. A. Preston. "Angiotensin-converting enzyme inhibitors in hypertension. A dozen years of experience." Archives of Internal Medicine 154.5 (1994): 513-523. Stier Jr., C. T. "Eplerenone: a selective aldosterone blocker." Cardiovascular Drug Reviews 21.3 (2003): 169-184.